Here I am sitting in the doctor’s office, my sweet husband is holding my sweaty palm as the doctor goes over the details of my upcoming procedure. My mind is deep in thought of how incredibly hard these next few months are going to be. The doctor continues on about my recovery and the limitations I will have. I will be unable to sit up on my own the first few days, I will not be able to pick up my small children for 6-8 weeks (had he ever been around a 2 year old, they live in mommy’s arms), and the list seemed to go on and on. (More on what this is all about in a later post, but don’t worry, I am just fine). Then suddenly, like angels singing, the doctor said the following words, “There will be no vacuuming for 8 weeks.” Wait, did I hear that right? Did a DOCTOR just say, with my husband in the room, I cannot VACUUM for 8 weeks??? I have doctor’s orders to not vacuum, Hallelujah! This day was really turning around for me. As the date for my procedure neared my husband and I discussed the details of how the house would run as I was recovering. We scheduled family members to take the kids for a few days at a time. My girlfriends put together a meal train for us to make sure that everyone stayed fed. I made sure that every stitch of laundry had been tended to. All seemed to be taken care of, other than how were we going to keep our house clean. Then my husband made a profound suggestion; The Neato. 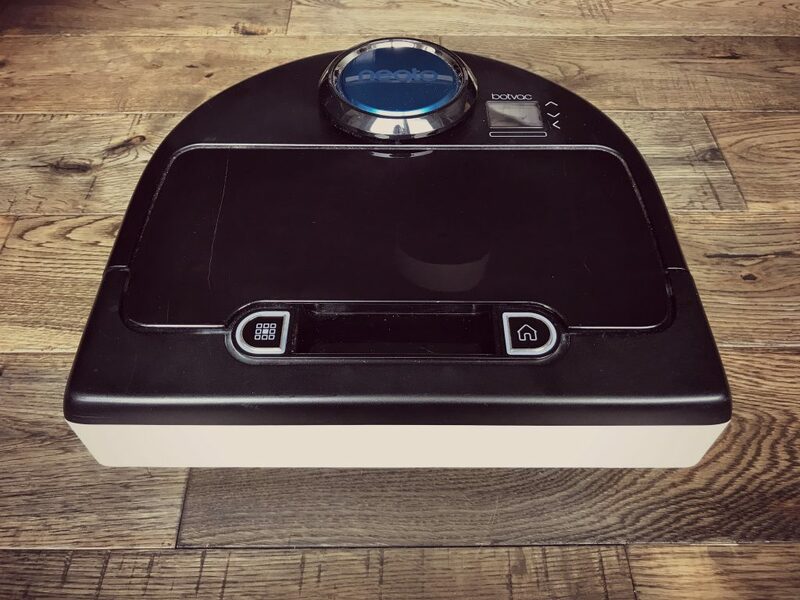 The Neato is a robotic vacuum cleaner, kind of like the Roomba. My husband, being a self-proclaimed “geek” had mentioned this product several times prior to this, asking if I would be interested. It always sounded great until I heard the price. These babies run around $400, and I just couldn’t justify spending that kind of money on an extra vacuum. I already had two Dyson’s (one for each floor of my house, which I will cover in a later post), why on earth would I need a third vacuum? Besides, I am a stay at home mom, isn’t this where I am supposed to earn my keep, cleaning up after everyone and saving us money? But with our current circumstances, I had to agree that it sounded like a pretty good idea. Once I agreed my husband immediately went into action (he loves finding a deal). He searched all the vendors who sold the particular model that we were looking for. Drawn in by the creature features, he was pretty set on getting the one that you could connect to by wifi because then you could control it with your phone. 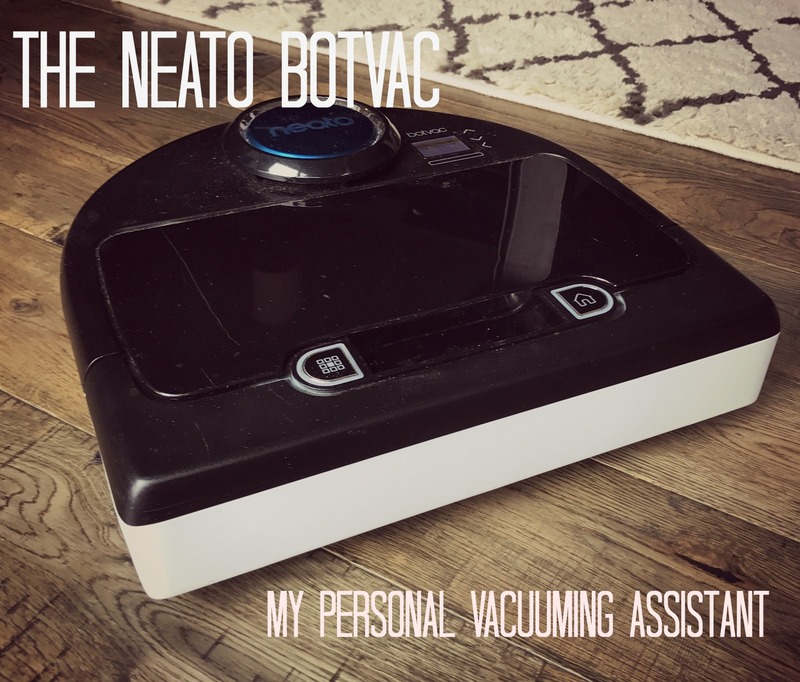 I explained to him that there had never been a time in my life when I had thought “You know, I wish I could control my vacuum with my phone.” I wanted this to be something that I set up and then never think about again. He seemed to understand, which saved us a few $$, since that model was $150 more. He quickly found that Bed Bath and Beyond carried the one that we were looking for. They didn’t have the best price at first glance, but one of the amazing things about this store is that they are always sending out 20% coupons, that seem to never expire. That coupled with the fact that they were running a special making it an additional $50 off made this decision much easier. By the time of my surgery we had it all set up and ready to go, and let me tell you this thing is AMAZING!! It vacuums an entire level of the house while we are all in bed. I have to say, waking up to vacuum lines in my carpet is better than any cup of coffee I have ever had (okay, that may be stretching it a little). It goes room by room, scans each room, then goes around the perimeter and then fills in the middle. If it is getting low on battery it goes back to its charging station and then picks up where it left off. This baby worked beautifully through my recovery and continues to bring me joy long after. If there is one thing I would have done differently it would have been to purchase the Neato when I first had children. I can’t remember how many times I sat on my couch with a breastfeeding or sleeping baby thinking “Man, when was the last time I vacuumed? I should really do that.”, and then laugh at the thought of that actually happening. Now it actually happens, I am not spending a single second doing it. It doesn’t get much better than that as far as “Housewife Hacking” goes. The Neato has been a game changer in our household. What has been your “game changer?” Let me know in the comments. I would love to give it a try. Happy hacking! It’s just a little noisy in the middle of the night at times! Mine was a cleaning service. 😉 My husband and I spent every moment on weekends cleaning (we both work). We were spending all our together time CLEANING. Miserable. We hired a cleaning service and haven’t looked back. With critters though we could use even more vacuuming. My worst area though is the stairs and sadly the little robots can’t handle those yet, I’m waiting though! I can agree with you there. We have a service for our yard work. Neither my husband or I enjoy yard work and dreaded the weekends. Best money we have ever spent. Audrey just started crawling and I’ve noticed how dirty our floors really are! I’ve been thinking about getting something along these lines. Thanks for sharing. Does it easily switch between carpet and hardwood or tile? Perfect time to get one. That is when I started noticing too, when I was down on the floor with my littles… it goes straight from carpet to hardwoods no problem. Have fun with your little crawler;). OMG! A puppy!!! So much fun and so much fur! This would definitely make your life easier. Any money invested in housework is money well spent! Since we have a cleaner come to our house, I am actually looking forward to weekends again!